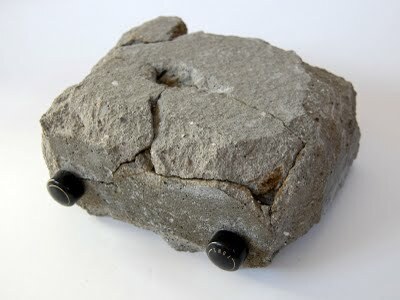 They were once found all over Australia, but are now found only in Tasmania. 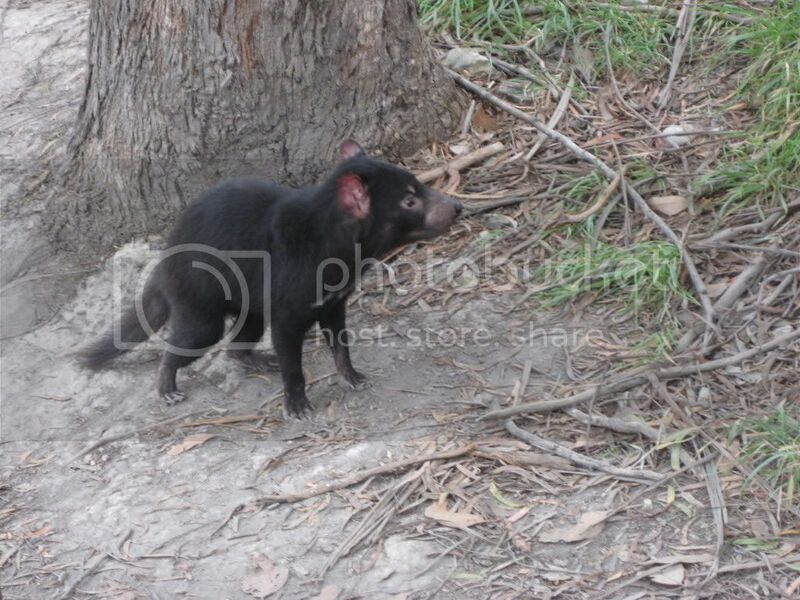 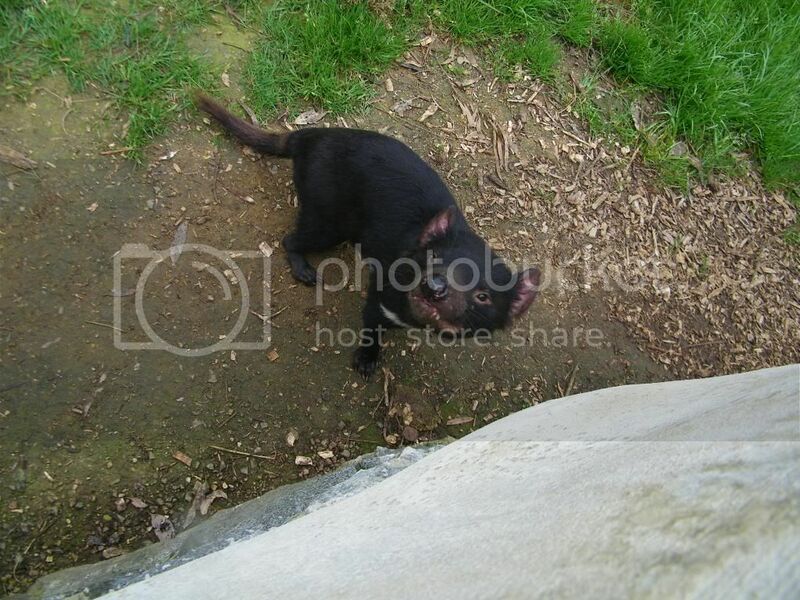 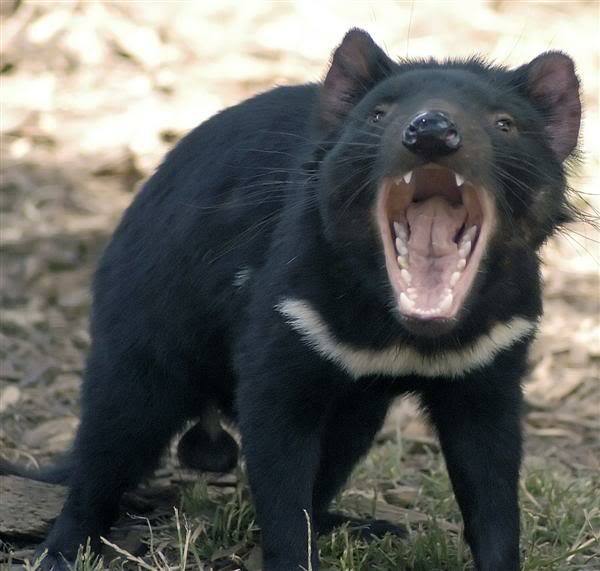 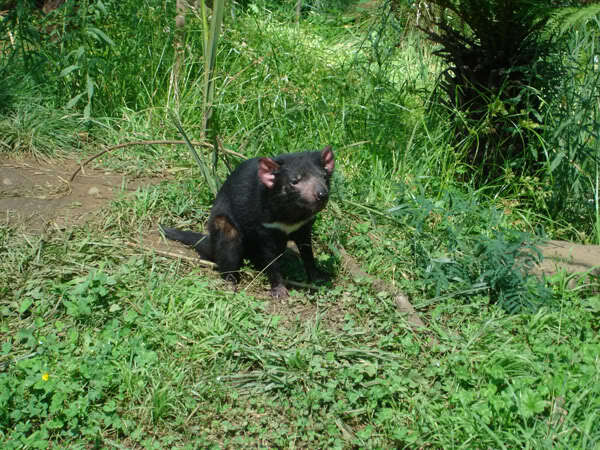 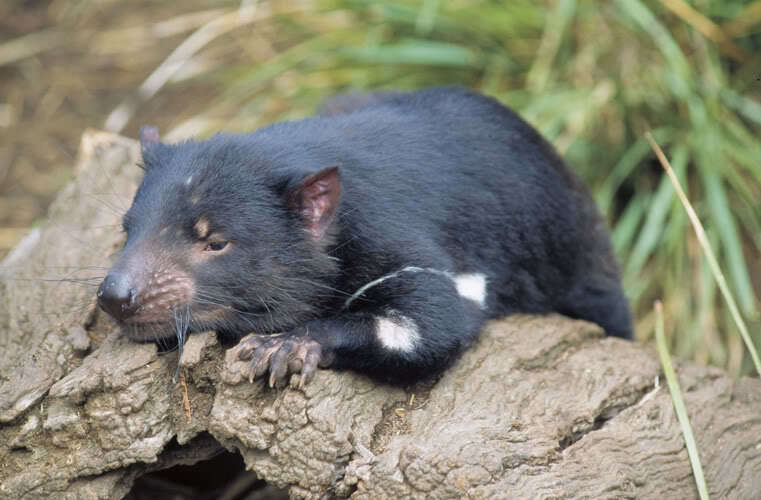 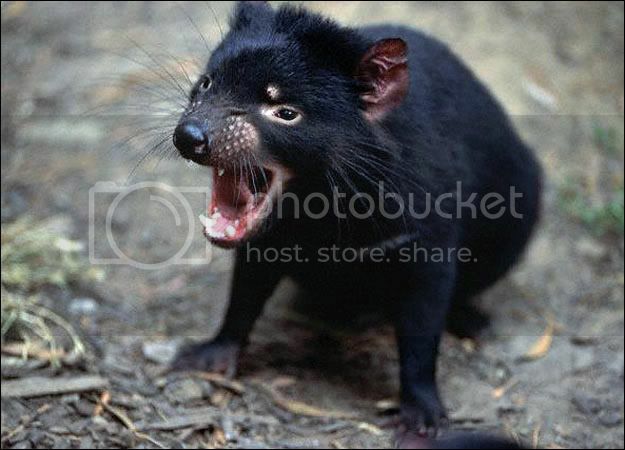 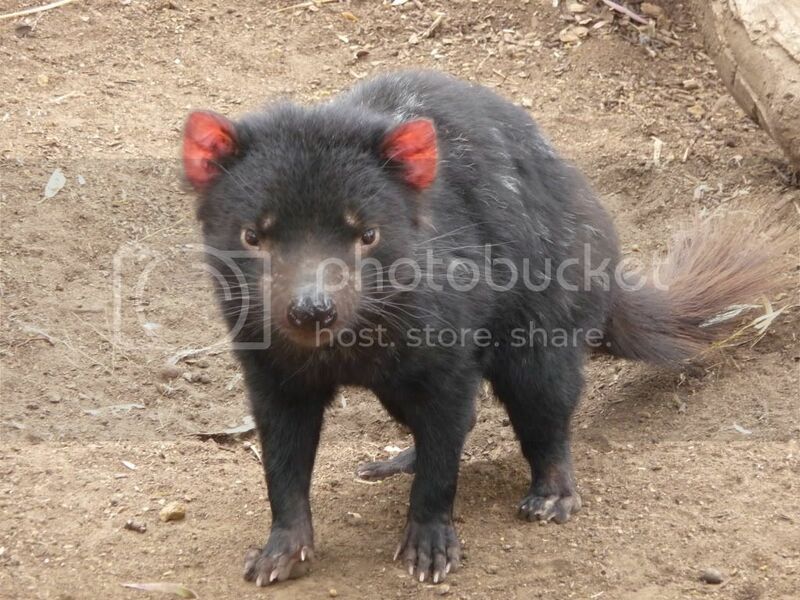 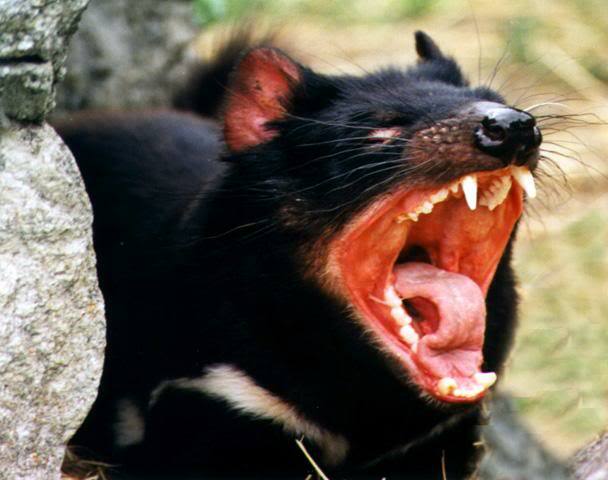 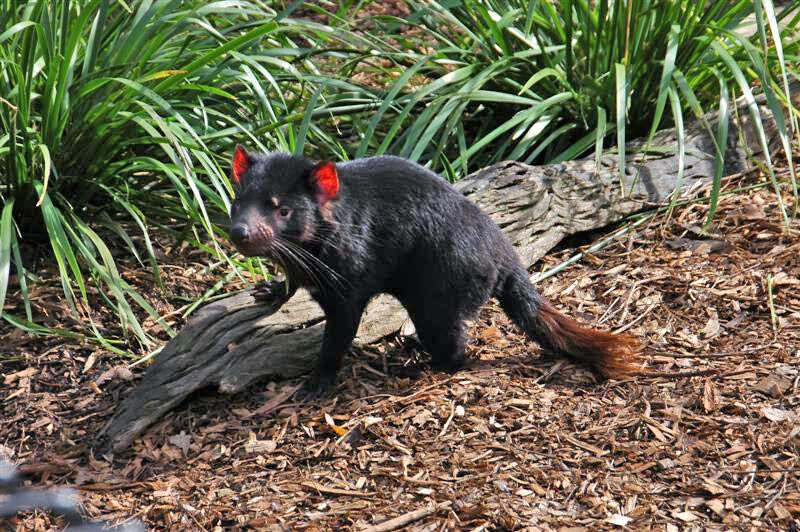 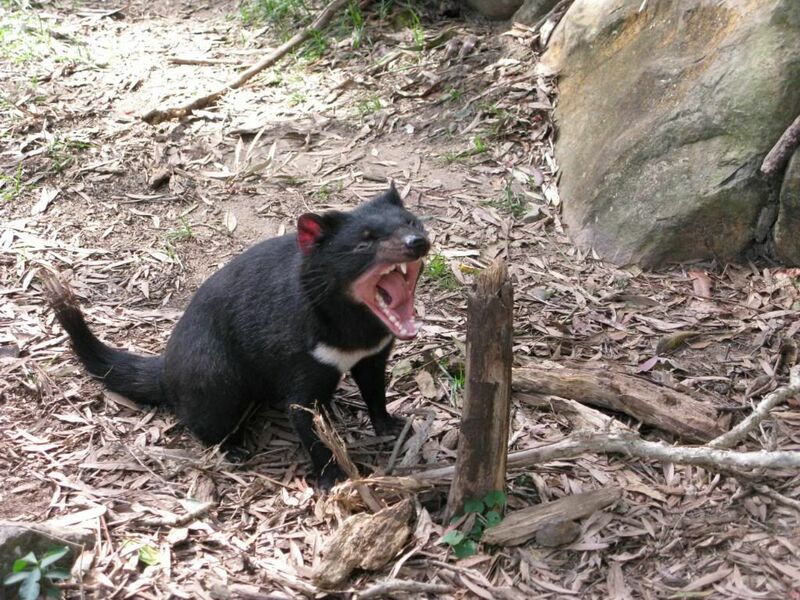 Devils are black with a white mark on the chest and rump, and look similar to a medium sized solid dog. 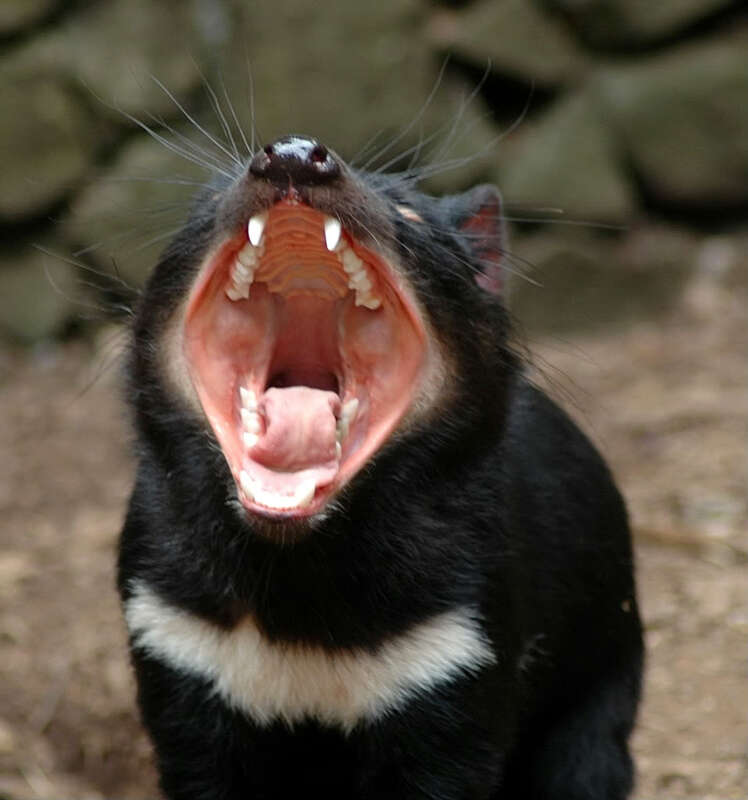 Adult males are usually larger than adult females. 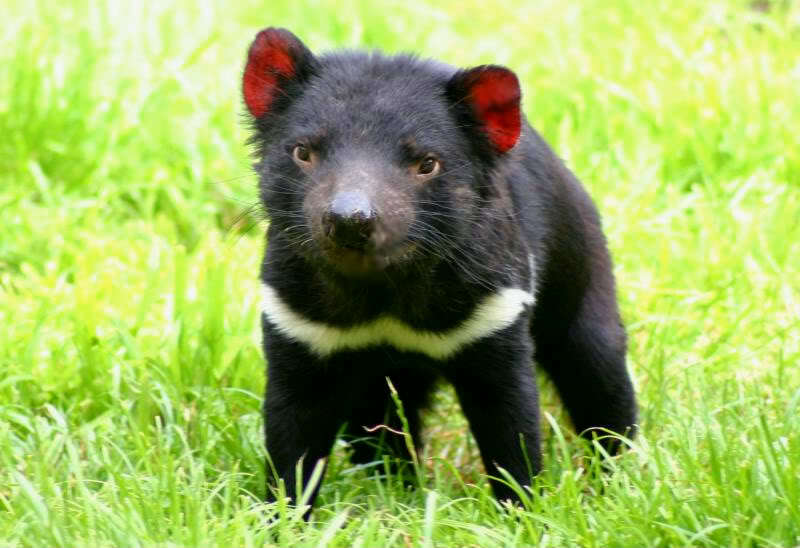 Large males weigh up to 12 kg, and stand about 30 cm high at the shoulder. 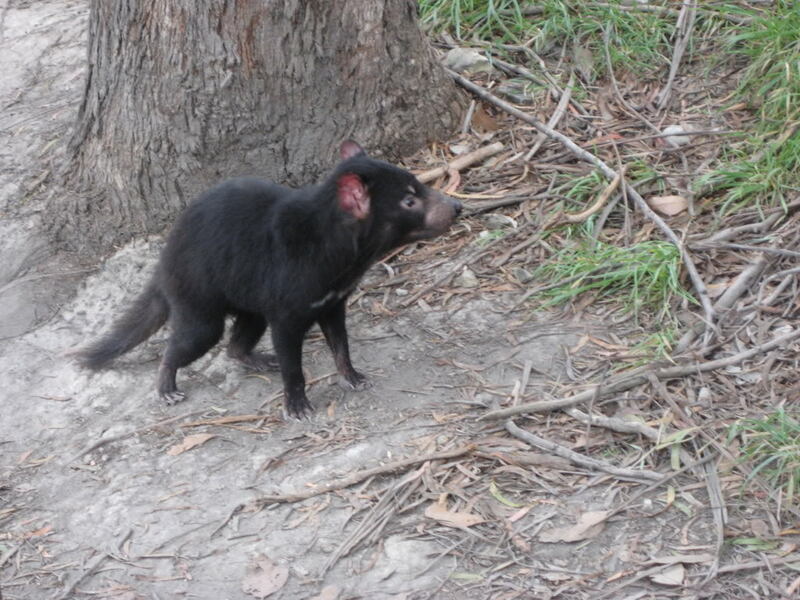 They could run about 13 kilometres per hour.